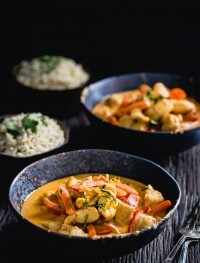 I have seen many chicken curry recipes on the internet and even myself I have had a couple of recipes for Thai curry using fish, veggies and other major ingredients in my blog before, however, this is for sure the only authentic Thai chicken curry recipe you will need and the one that will taste the best. After all, I learned it from the best! This is one of the reasons I wanted to go back to Thailand. I love Thai cuisine and went I first visited the country 15 years ago my trip didn’t include anything food related. This time around it was nothing but focused on food. 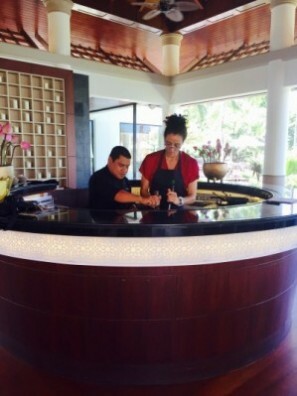 Culinary school for over a week and learning with several chefs and locations around Thailand. 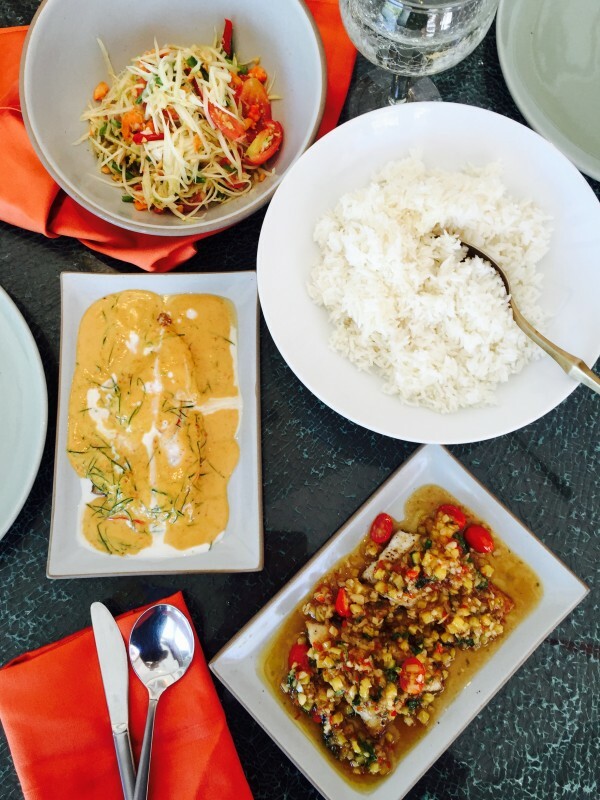 For our second part of the trip we emerged ourselves into the Southern Thai way of cooking right in Phuket. Very similar to the way they cook in Bangkok, just a few different methods while cooking certain dishes, that is all. 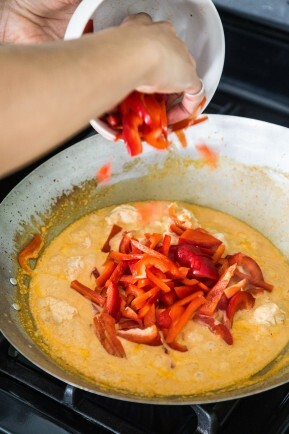 First, you have to cook the Thai curry for a few seconds all by itself prior to adding the coconut milk. This allows for the aroma of the spices to be released. Second, you much julienne a few kaffir lime leaves and garnish the dish with them once you are done cooking it. Kaffir lime leaves have a very potent unique lime aroma and I don’t think you can omit or substitute such ingredient. You can obtain Kaffir lime leaves from this website. I get them here about twice a year and I just freeze them and use them when ever I need them. They remain frozen perfectly fine! 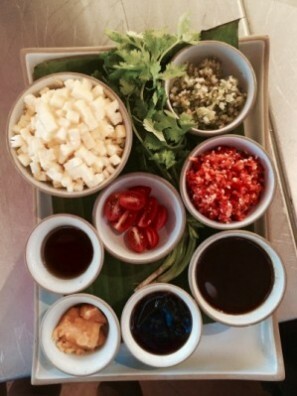 With chef Worapong Paenchoo we were also able to learn the very famous papaya salad as well as a Tamarin fish recipe. At some point I might also post these recipes. I just don’t want to give all the secrets learned all at once! 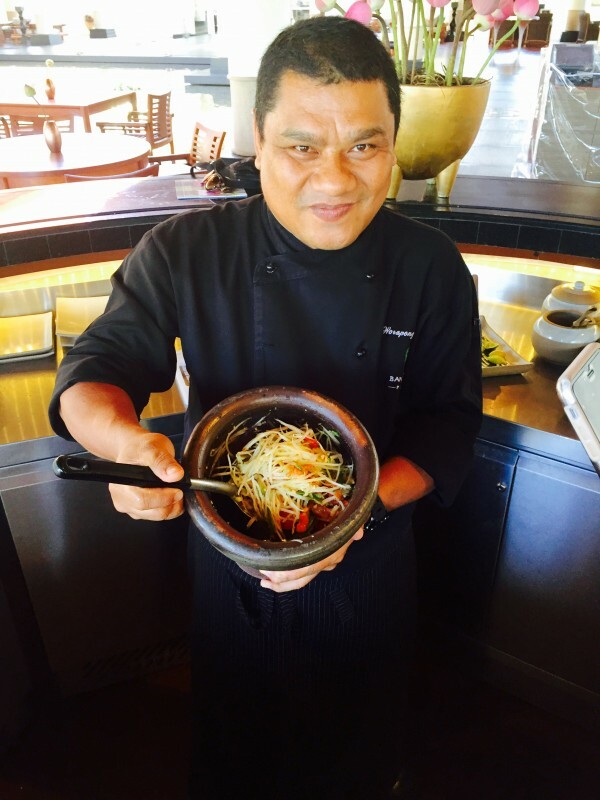 Cooking with chef Worapong Paenchoo was a pleasure and staying at the Banyan Tree Phuket was nothing but a dream come true. As a food blogger, sometimes I get to do things that are nothing but amazing. I often have to pinch myself, but trust me, there is no one as grateful as I am. This place is out of this world. To tell you I had one of the best experiences of my life is an understatement. I hope to go back soon but until then I know I have learned some valuable Thai cooking recipes and techniques. 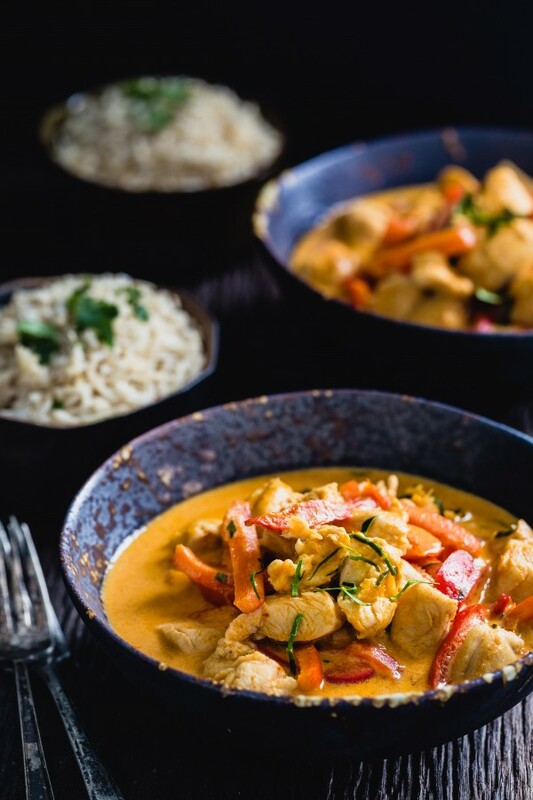 I really encourage you to try this curry chicken recipe. You are going to be blown away. Here is chef Worapong Paenchoo. I wish I could have spend more time with him. It was truly and amazing experience. 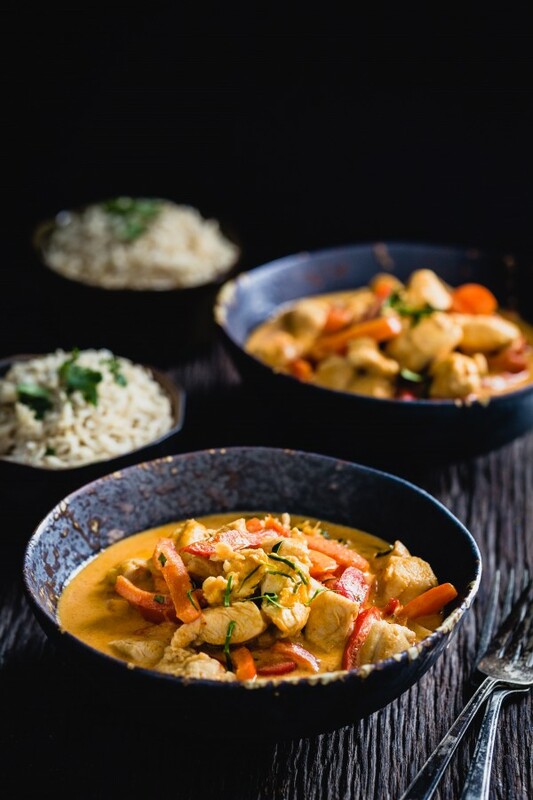 Anyways, I leave you with this amazing authentic Thai chicken curry recipe. 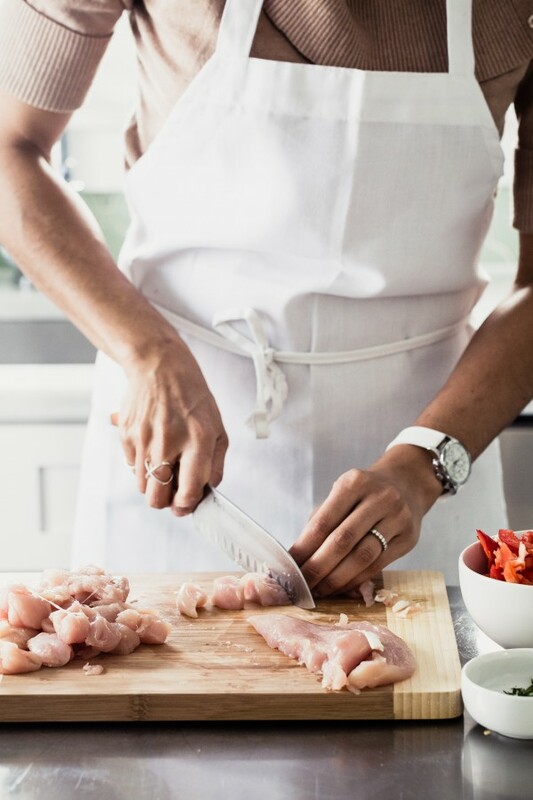 You can also make it with fish if you like which is how we had it originally, they are both equally good, just remember to include the kaffir lime leaves, they are crucial to the recipe. 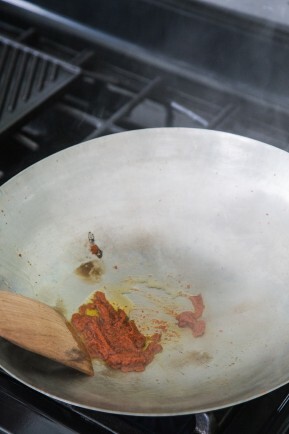 In a large wok or pan add the oil and curry paste over medium to high heat. Cook for about 30 seconds to 1 minute. 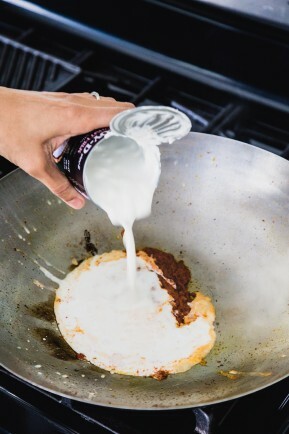 Add the coconut milk and stir for a few seconds. 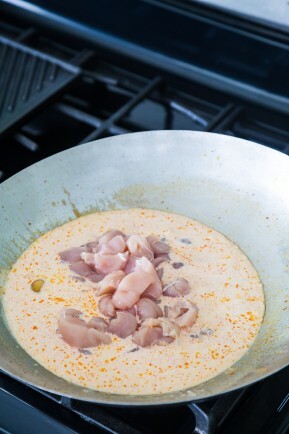 Add the chicken, sugar, fish sauce and cook the mixture until the chicken is almost cooked. Add the sliced peppers and cook for about 2-3 minutes. 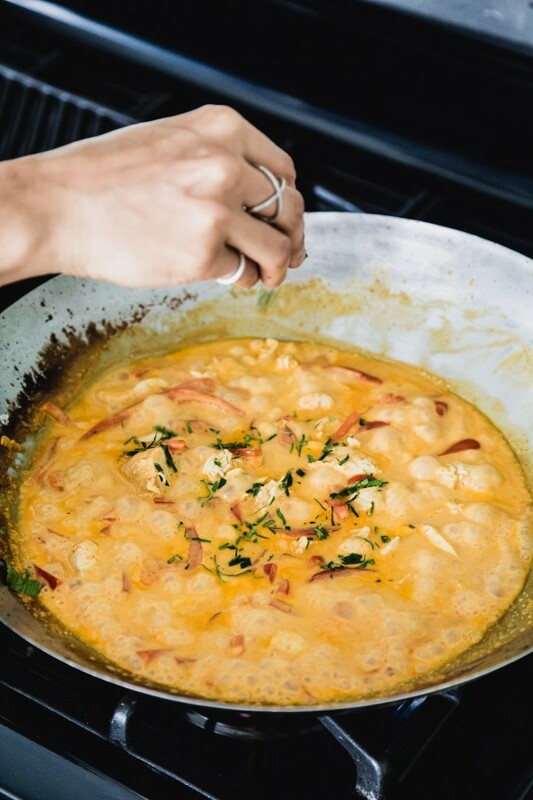 Turn the heat off and add the julienned kaffir lime leaves. 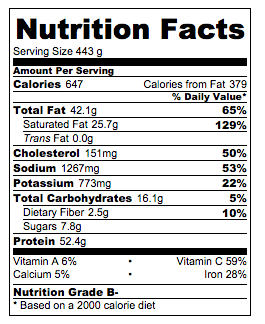 Serve over brown rice or as desired.